Birth parents, adoptive parents, and adoptees face predictable crises given the life-changing nature of this event. Idealized or deficit approaches don’t work, but a strengths perspective does. Sam is a bright, energetic, enthusiastic 12-year-old boy. His mom and dad, Mary and Mack, love him dearly and are earnest, skilled parents who conscientiously create a nurturing home. Sam thrives; he has a best friend next door, gets Bs in school, attends weekly religious school and prayer services, walks his dog every day after school, and enjoys riding his bike and playing his electric guitar. He and his parents often go on hikes, attend sporting events, and take day trips as a family or with friends. It appears that Sam is doing well because he is adopted. This description accurately summarizes Sam’s life, and so does this: Sam was born with cocaine, marijuana, and alcohol in his tiny body. Sam’s birth father, incarcerated shortly after Sam was conceived, has never seen him. The state child welfare agency removed Sam from his mother’s custody shortly after birth, and in the first two years of life, Sam lived in four different foster homes before he was legally freed for adoption. Sam’s behavior is often impulsive, hyperactive, and inattentive. His classmates tend to steer clear of him because he bumps into them, grabs their things, or blurts out rude comments (e.g., “You’re stupid!”). Homework is a daily struggle, as Sam finds it hard to sit still and stay on task. He often forgets, loses, or partially completes his assignments. Lately, his behavior at home has been especially irritable; when his parents prompt him to do a task he doesn’t like, he yells, “You’re not the boss of me!” and stomps away. He’s spending more time alone in his room. It appears that Sam is struggling because he is adopted. These two pictures of Sam reflect conflicting perspectives on adoption. Both views are highly relevant to the work of social work clinicians, administrators, policy makers, and researchers, as these views shape adoption policies, laws, and clinical practice. One perspective sees adoption in somewhat idealized, romantic terms. The second view is that adoption goes hand in hand with difficulties. Understanding the biases embedded in these perspectives and how to manage them in social work practice is key to effective service delivery. Some examples help clarify these two notions. The idealized view reflects the beliefs that adoptees are lucky because they are “chosen” children who were given up for adoption by biological parents who “loved the child so much” that they felt he or she deserved a “better parent who could give the child a better life.” The deficit view of adoption, on the other hand, reflects the belief that adopted children are unwanted or given away by inadequate (e.g., morally flawed, alcoholic, drug addicted, criminal, mentally ill, poor) birth parents who didn’t care about their child, leaving a “genetically inferior” child who is “psychologically scarred” to be adopted by infertile people who had to “settle for second best” if they wanted to be parents. Figure 1 summarizes these contrasting concepts of birth parents, adoptive parents, and adoptees. A more neutral, balanced, accurate perspective may look something like this: Biological parents who feel unable to parent a child choose adoption to ensure that their child is properly nurtured in a forever family. Adoption may be a second choice for the adoptive parents, but it is not second best. In reporting crimes, news media often note that the miscreant was adopted, perhaps suggesting that adoption is somehow relevant to the criminal behavior. It is less likely, however, that news reports about a successful celebrity will mention the person was adopted; how many Americans know that President Gerald Ford, Olympic medalist Scott Hamilton, and singer Faith Hill are adoptees? The language commonly used to discuss adoption tends to reflect a deficit perspective. The term natural mother instead of birth mother, or biological mother, implies that it is unnatural to parent a child to whom one has not given birth. The saying “blood is thicker than water” suggests that adoptive families are somehow inferior to families formed by birth. The phrase “I could never give up my own flesh and blood” suggests that birth parents are morally inferior. “She gave up her baby” instead of “she made an adoption plan” implies a succumbing rather than an affirmative proactive plan to ensure a child’s well-being. As these examples indicate, most talk about adoption focuses on birth mothers to the exclusion of birth fathers, reflecting a view that birth fathers are irrelevant or not worth including in the adoption discussion. Language, beliefs, stereotypes, and deficit perspectives affect adoption laws, policies, and clinical practice. This, in turn, exerts a subtle yet powerful force on people whose lives are touched by adoption. For example, it is widely believed that adopted persons are more likely to be troubled than their nonadopted counterparts. However, studies suggest that while adopted children are overrepresented in clinical samples, there are many possible reasons for this, such as adoptive parents may be more ready to seek professional help because the adoption process accustomed them to doing so. Studies also indicate that the vast majority of adopted children grow up to function as successfully as their nonadopted peers. Another widely held belief is that birth parents in open adoptions tend to intrude into the adoptive family in unwanted ways. A growing body of research shows that intrusion is not a common phenomenon in open adoption as careful preadoption education and postadoption support services help birth and adoptive family members create and sustain forms of contact that work for them. 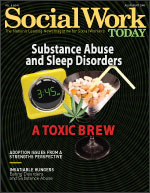 These and other examples make it clear that social workers need specific knowledge and skills to implement a strengths perspective in their clinical, administrative, and policy practices regarding adoption. A strengths perspective emphasizes people’s resilience; ability to cope, thrive, adapt, and grow; inner resources; and sources of nurturance and protective factors in even the most inauspicious environments. A strengths perspective in adoption involves thinking of challenges that may emerge over the course of the lifelong adoption journey as normal and predictable rather than as signs of something gone awry. Clinical intervention in adoption can be conceptualized not as a vehicle to put predictable challenges to rest but as an opportunity for people to process feelings and develop coping skills to manage issues as they emerge from time to time, evolving over the life course. Joyce Pavao, founder of the Center for Family Connections in Cambridge, MA, calls this approach long-term brief therapy, as people whose lives are touched by adoption periodically return to a trusted clinician when life challenges and adoption issues emerge across the life span. The clinician who takes a strengths perspective understands how adoption issues may intersect with other issues and takes a collaborative, collegial stance with the client, viewing developmental challenges, such as moves, illnesses, birthdays, the start of kindergarten, graduations, or divorce, as opportunities to process whatever adoption-related feelings and issues may emerge. Sara, a gifted pianist in her sophomore year at a prestigious conservatory, seeks help at student counseling services for severe depression. Adopted at the age of 6 months from Guatemala by Swedish American parents, her creamy mocha skin, dark brown eyes, and sleek black hair are unique among her blonde, blue-eyed family. Sara tells her therapist that she hardly ever thinks about her adoption. “I have a great family. That’s what really matters. I never knew my birth parents. They don’t matter,” she says. Taking a client-centered approach, her therapist quietly accepts that. Tears spring to Sara’s eyes, surprising her. “I don’t want to hurt my mom and dad. They’re so good to me. They love me so much. How can I feel so sad about a birth mother I never knew and who didn’t want me? In this sadness, I feel so disloyal to Mom and Dad,” she explains. Sara’s first therapist simply accepted that depression was the issue, independent of adoption-related feelings. The second clinician thought more about the possibility that adoption-related feelings may intersect with the depressive symptoms without forcing the idea onto Sara. While the first clinician in this example may have minimized the adoption issue, others may overemphasize it. So, for instance, it is important to recognize that biochemical factors, such as genetic makeup, and environmental stressors, such as the demands of college and the losses that accompany leaving home, may be as important, or more important, than adoption issues in Sara’s depression. The most savvy clinician can be hard pressed to determine how much to concentrate on adoption issues in assessment and intervention. Effectively exploring the role, if any, that adoption issues play requires the clinician to use adoption as a lens rather than the only lens or no lens in assessing and intervening. Striking the right balance requires the clinician to be aware of core issues that may be expected to emerge from time to time among adoptees, birth families, and adoptive families. These core issues take different forms, depending on one’s role and place in the adoption journey. Birth parents, adoptees, adoptive parents, and other family members all experience their own unique feelings of loss, grief, confusion, bewilderment, desire for or loss of control, shame, inferiority, aloneness, preoccupations with musings and unanswered questions, worries about intimacy, anger, and other emotions related to the adoption experience. While plenty of nonadopted people have these feelings, too, the feelings take on unique flavors that reflect identifiable themes in the adoption life cycle. For example, a birth parent may fear intimacy because sexual intimacy led to the loss of a child. An adoptee may hesitate to become intimate with a romantic partner because the adoptee does not know if the other person may be a genetic relative. Young adopted children who are told, “Your birth parents chose adoption for you because they loved you so much,” may fear that being loved means being given away. Adoptive parents may wonder if the child they adopted may love a birth parent more than them. The losses in adoption are often unrecognized, dismissed, minimized, or delegitimized by society, family, or oneself. Devaluation of loss is another example of how an adoption theme can play out differently among members of the adoption circle. The birth parent’s loss goes unrecognized because others believe that the birth parent “gave the child away because the child was unwanted, unloved.” The adoptive parent’s loss of the longed-for child by birth goes unrecognized because the focus is on the adoptive parent’s gain of the adopted child as if adoption cures infertility rather than simply childlessness. The adoptee’s losses are minimized when people say, “Why would you want someone who gave you away? Just be grateful for the wonderful family you have. You’re lucky to leave a world of poverty to grow up where you have everything a child needs,” and so forth. The clinician must understand that adoption-related feelings may present the client with two difficult tasks in therapy. The first is that the client must identify and articulate the feelings. The second is that the client must then justify the feelings. The birth mother, for instance, may feel hard-pressed to legitimize her adoption decision in a world where there is legal, safe abortion and millions of single parents. The adoptee who lived as an orphan begging on the streets of an Ethiopian slum may feel blindsided by feelings of anger and alienation towards the loving, affluent white adoptive parents who “rescued” him. Adoptive parents who struggled for years with infertility may find that others cannot understand feelings of grief for a child who was never born, even as the adopted child is so delightful and loved so dearly. This mélange of emotion offers many opportunities for clinical exploration as social workers invite birth parents, adoptees, adoptive parents, and others in the circle of adoption (e.g., siblings, aunts, uncles, grandparents, friends) to identify, express, and cope with issues and feelings that hold the potential to enhance self-acceptance, family communication, and intimacy. As social workers know, behavioral challenges, relationship struggles, and intrapersonal distress can be alleviated in this process. The burdens of shame, silence, and isolation that have weighed on people touched by adoption have been lifted by birth parents, adoptees, and adoptive parents with the courage, dignity, confidence, and skills to speak their minds and assert their points of view. They have traveled that journey, marshalling their inner strength and environmental resources. They have taught professional social workers to be informed, confront their biases, shed their misconceptions, honor clients’ voices, and be humble as they witness the adoption journey.